Liquid nutrient broth is used to culture bacteria such as Escherichia coli. Recipes for this broth vary depending on the bacterial species and the presence of genetic modifications, e.g., antibiotic resistance. The broth can be solidified by adding agar, which enables the bacteria to form distinct colonies, whereas in liquid culture they simply disperse throughout the volume. This is a basic but essential technique for advanced methods such as gene cloning or microbiological assays. 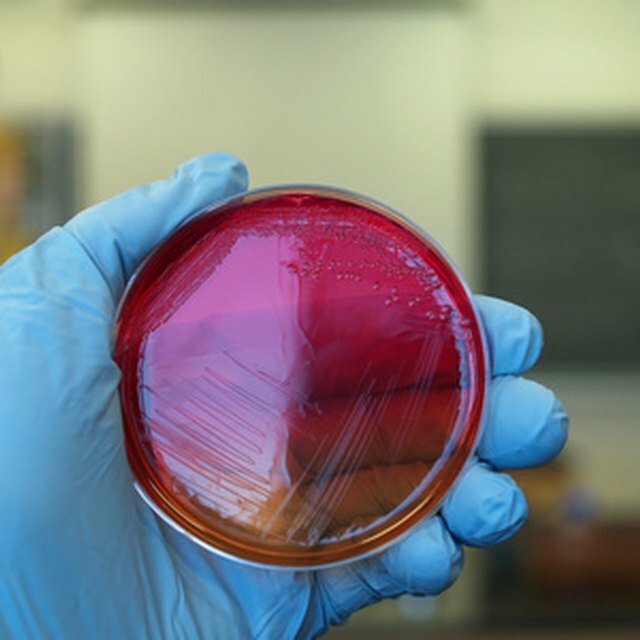 This article assumes that standard laboratory Escherichia coli strains are to be cultured on Luria broth (LB) agar plates (or petri dishes). Weigh out 10 grams of bacterial-grade tryptone, 5 grams of yeast extract, 5 grams of sodium chloride, 15 grams of agar or agarose, and 1 milliliter of 1N sodium hydroxide. Mix these with a volume of distilled and autoclaved sterile water until 1 liter of medium is obtained. Autoclave the media in loosely capped bottles or flasks for 25 minutes. Allow to cool to approximately 50 degrees Celsius before adding reagents that will be destroyed at high heat, such as antibiotics or other nutritional supplements. Allow the autoclaved media to cool to 50 degrees Celsius and no lower than 45 degrees Celsius, as the agar will set in its container before it can be poured. Obtain sterile petri dishes and pour enough to cover the entire surface area of the plate and at least half of its depth. Avoid overfilling the plates and preferably do not allow the agar to contact the top edge of the dish. Allow the plates to solidify in a sterile environment (e.g. under a laminar flow hood) by leaving the lids off and to a corner of the hood. Dry the plates. Although the plates can be used as soon as they are set, some moisture will be present on the surface of the agar, which will prevent bacterial colonies from adhering sufficiently. Therefore, it is best to dry the plates before applying any bacteria, for example by leaving them to sit out at room temperature for a few days or for half an hour under a laminar flow hood or in a 37 degree Celsius incubator. Store the plates. Dried plates should be stacked upside down (inverted) on their lids and returned to their original packaging, taped shut and either wrapped in foil to protect from light or in an appropriate container. Always write the date of preparation on the plates and avoid using if the plates are more than 2 months old. Carry out as many of the above steps (preferably all) as possible within a sterile environment (e.g. under an open flame, or a laminar flow hood) to stop airborne bacterial contaminants from entering and growing in the media. Owyoung, Palmer. "How to Make Nutrient Agar for Petri Dishes." 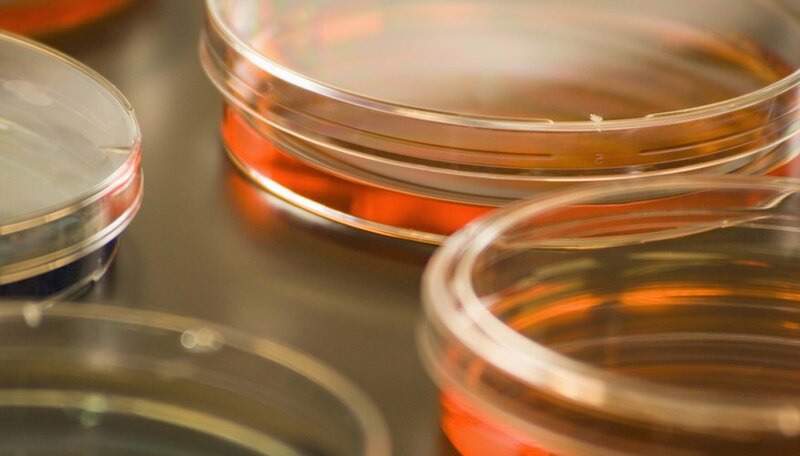 Sciencing, https://sciencing.com/make-nutrient-agar-petri-dishes-5804903.html. 24 April 2017.